The Association of Helicopter Aerosports (AHA) is the specialist body within the BMFA representing all Radio Control Helicopter disciplines and pilots. The AHA provide specialist knowledge to the BMFA regarding all helicopter related issues, so we are in a unique position to get the things we hold dear brought to the BMFA's attention. We are a non profit making organisation of RC Helicopter pilots who volunteer our own time and effort so that the helicopter community as a whole benefits and anyone is welcome to join. 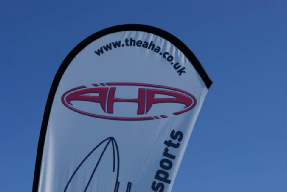 The AHA organise several events throughout the year including the Bi-annual Charmouth Flyin which is the UK’s longest running helicopter flyin. F3C, F3N Competitions including Team Trials and various Scale meets. The AHA host the UK’s longest running helicopter Flyin. More details can be found on the Charmouth information page. You can get in touch with us by email or on social media. The AHA have Facebook and twitter accounts and we will endeavour to respond to you as soon as we can. Details of upcoming AHA events and competitions can be found on the AHA Calendar page. Pilots must perform complex hovering and aerobatic manoeuvres. Each manoeuvre must be executed with high precision and skill in any attitude and under all weather conditions. For more details please see the F3C page. F3N is the classification given by the FAI for this standard format 3D discipline. For more details please see the F3N page. There are various Scale events organised by the AHA throughout the year. With a fun, relaxed atmosphere why not come along. More details on scale flying can be found on the Scale page.